Shop Planet Waves DP0002 Guitar Pro String Winder and Clipper from AMS and enjoy Fast & Free Shipping. The Pro-Winder is a high quality peg winder with a built-in hardened tool-steel wire cutter. The extra-length design provides more torque for easy winding. The ultimate restringing tool. Unlike ordinary peg winders, the patented Pro-Winder is a high-quality peg winder with a built-in clipper and bridgepin puller. The winder is designed to fit virtually all guitars, banjos, and mandolins. Ergonomically designed with hardened tool steel wire cutters, the Pro-Winder with built-in clipper is the ALL-IN-ONE restringing tool, and it comes with an unconditional guarantee. I love this. The tool is made well. Cuts strings like butter. The winder is nice and tight, no sloppiness. The pin puller is more of a "pin popper", the pins pop right up with no prying needed. Slick and does the trick. I have 10 guitars that want my love and affection all the time and I wish I had one of these for each guitar case. I hate it when a good tool gets mislaid. Thanks! The best tool I have found for changing strings. 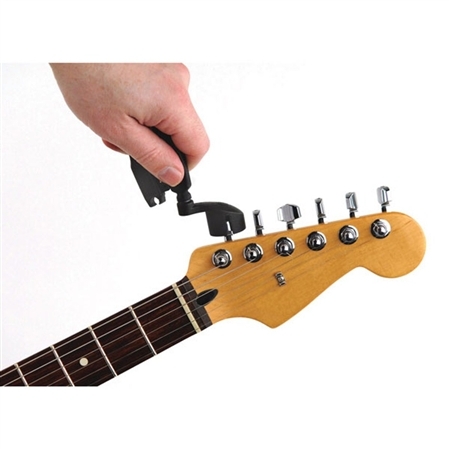 The perfect gift item for the guitarists in your life. Quality of the trimmer could be better, but the winder thingy portion works pretty well. I love the multi-tools; now I have one for my guitar. I love this tool ! I wasn't sure about this thing when I ordered it. After trying it out I wouldn't want to be without one. The clipper works great. 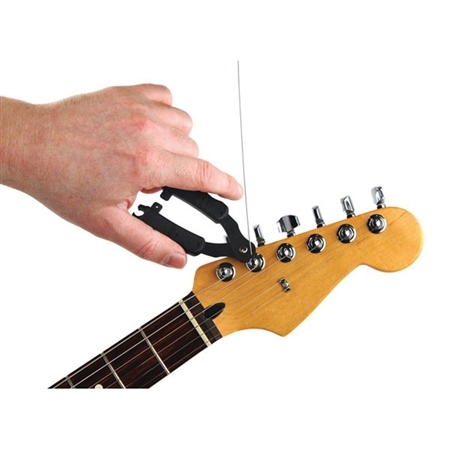 The string winder has a bit too much play, so you have to align it perfectly to wind strings easily. I never did get the post puller to work. I have two of these and get a lot of good use from them. But I do wish it had a tighter fit on the winder, and that the post puller worked. Works great. Fits tuning knobs on all my guitars and has the cutter and peg puller built in. Well worth the low price. I would have gladly paid more for this tool if I knew how well it works! String winder is poor. Cutter and pin puller Work well. But not worth the cost.